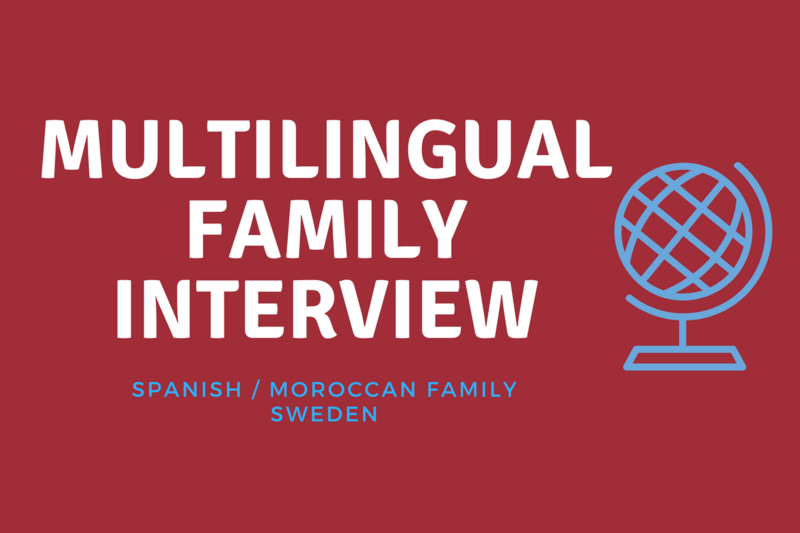 Info : Each month, we share multilingual family interview from a family around the world. The interview shares their story as well as their challenges, successes, tips and advice in language learning. If you would like your family to participate in an interview, please contact us here. I am Maria from Spain, married to Abu Hamza from Morocco, our son is Hamza and we live in Sweden. What languages do you speak ? How many and which ones do you speak on a daily basis ? The languages that we speak in our family are Spanish and Moroccan Arabic, Swedish and English and this year we started learning classical Arabic. Are you teaching your son these languages ? Since my son was born, we decided to speak to him in each one of our languages. So that he would grow up associating a language to each parent, without the need to teach him, he has begun to speak both languages ​​with ease. In the beginning, he was better in Spanish because he spent more time with me and had more practice. He learned Swedish in nursery school and now in school he has begun learning classical Arabic. Since my husband and I speak English together, little by little he is beginning to speak it. 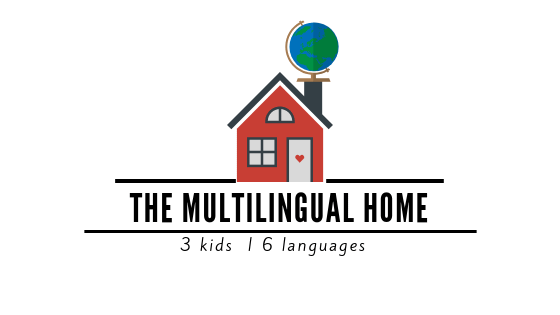 Do you homeschool, if so, how do you incoporate the languages into learning ? I don’t homeschool, I thought about it at first, but later I thought that the best thing would be that he could practice the languages ​​with native people to be able to achieve good pronunciation. And that , could only be done continuously at school. What have been challenges so far ? I think the biggest challenge has been to make people understand that I did not put my son in any complicated situation or that this caused a delay in the level of other children of his age. And that it is our decision that we made about his future and the possibility of being able to know his origins in a direct way, as well as being able to communicate with both families. I do not know if I would call it a success … but I feel very happy seeing how he develops in situations where he needs to change from one language to another, and also when he tries to correct our pronunciation in other languages ​​that are not ours. What do you talk about at the dinner table ? At the dinner table, we usually talk about what was done during the day, doing a review of the behavior, what has been learned, … we usually talk about future family plans, and it is usually the moment when we are all together and we dedicate time to Islamic education above all the Islamic manners. The visits of my family have helped him a lot in his improvement of Spanish, it is something that I notice every time they come , his vocabulary improves. In addition to talking with my husband in Moroccan Arabic, my son practices it with my husband’s friends and we try to occasionally meet with other Moroccan children to play and practice the language. We usually travel to Morocco as well. Swedish is something that he practices daily in school and it is also the language he listens to in his environment ; he usually watches children TV shows in Swedish. We decided to enroll him in a bilingual school, where they also teach classical Arabic. As Muslim parents, we take him once a week to koranic Arabic classes. For English he simply hears us everyday speaking it. Not all the people around will agree on your decision to raise your children with different languages. Some will tell you that it does not make sense, or they will tell you directly that it will not work. Others will tell you or think that you are too exigent (demanding) with your children, and that you are going to confuse your children with so many languages. Do not listen to them, they do not know what they are talking about. Bilingual Kids Spot has so many word games. I would also like to recommend the Android applications for learning languages ​​through games. Especially those to learn Arabic writing. Also to read to them the same book in the different languages, currently you can find multilingual books, where you can read the same story in two different languages. Which langauge would you recommend someone to learn and why ? Children must learn the language of the place where they live, as it is important for their development. Also they should learn the language of their parents, to facilitate family relationships and to know their origins. Then, little by little, add other languages ​​that they need on some occasions , for example we as Muslims need to know koranic Arabic. So another language to learn depends on the necessity of each family. Maria lives in Scandinavia with her husband and son. She enjoys going outside to appreciate the weather when it’s nice out. Maria dedicates all of her time to her family ; her hobbies include barbecuing, playing table games, reading books and cooking together.